Young Sparks fan Morrissey writes ‘Melody Maker’ about his latest discovery, 1974. FLTR: Ron Mael, Morrissey (now grown-up), Russell Mael. 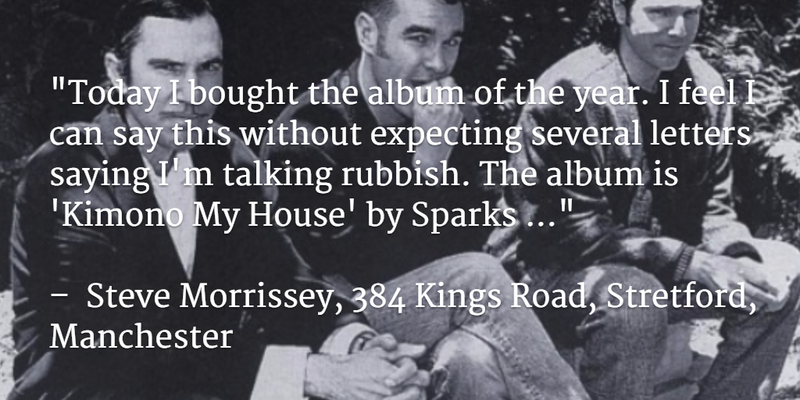 Thirty years later, ‘Kimono My House’ is still one of Morrissey’s all time favourites. Want to know what else is on his list? Head over to The Quietus!